We are the service provider of Consultancy for Theme Park. Being the leading names of the market, we are engaged in providing Consultancy for Theme Park to our respected customers. This service is completed by industry known specialists. Due to high demand, these services are available in the market in diverse forms that meet on customers demand. 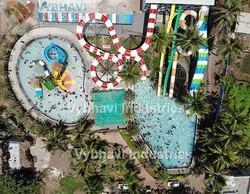 Our organization is offering Consultancy for Water Parks to our clients. This plant consultancy comprises of Preparation of basic drawing, assisting in drawing approvals, Guidance for getting approvals, permissions. We also provide periodic supervisions, at the site, Commissioning of Equipment, Testing & trials. Looking for Consultancy for Theme Park ?